Publix Super Markets, the largest employee-owned grocery chain in the country and Wegmans, a chain with only 90 locations, are America’s favorite grocery retailers, tying for first place in a consumer study of more than 12,700 shoppers conducted by Market Force Information (Market Force). Trader Joe’s with 460 stores, is a very close second and H-E-B ranks third. 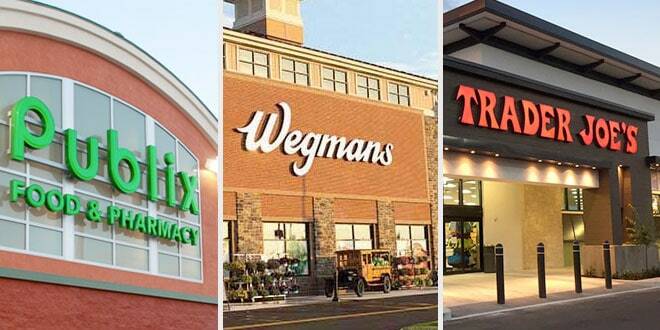 This is the second consecutive year that Wegmans has held the top spot in the annual study, after unseating long-running favorite Trader Joe’s in 2016. Publix, which ranked second for the past four years, earned a first-place tie with Wegmans, with each scoring 77% on Market Force’s Customer Loyalty Index. Trader Joe’s narrowly missed the lead spot with 76%, and H-E-B made the top three for the first time with 69% – a 10% increase from 2016. 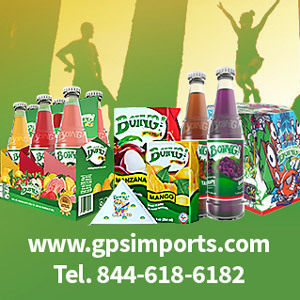 ALDI and Harris Teeter rounded out the top five with 68% and 66%, respectively. Publix Super Markets is the largest employee-owned grocery chain in the country and has been named to Fortune’s 100 Best Companies to Work For every year since the list’s inception. The chain’s engaged and friendly associates help deliver on its “Where shopping is a pleasure” motto. Wegmans, founded in 1916, is known for its fresh produce, reasonable prices and massive stores. The New York-based chain is expanding steadily and, with a focus on employee training to ensure customers have a great experience, creating superfans eager for a new location to open near their home. What sets one grocer like Publix apart from the others in shoppers’ minds? For one, being able to find the items they want, a category where Publix was a clear leader. Publix was also found to have the cleanest stores and fastest checkout speeds. Wegmans ranked highest for its specialty department service, and a close second for item availability. Trader Joe’s was found to have the most courteous cashiers. ALDI once again led for value, followed by WinCo Foods and Costco. Harris Teeter, Hy-Vee, ALDI and H-E-B all fared well in the rankings, while Walmart landed at the bottom in all categories but one. Consumer preference for local and organic choices at the grocery store are holding steady, with 58% of shoppers indicating that locally sourced meat, produce and dairy products are important. Half said they prefer organic when given a choice, and 93% had purchased organic produce in the past 30 days, making it the most popular organic item, followed by meat, dairy and packaged dry goods. Baby products and paper products were the least bought organic offerings. The survey was conducted online in March 2017. The pool of 12,774 respondents represented a cross-section of the four U.S. census regions, and reflected a broad spectrum of income levels, with 51% reporting household incomes of more than $50,000 a year. Respondents’ ages ranged from 18 to over 65. Approximately 75% were women and 24% were men.